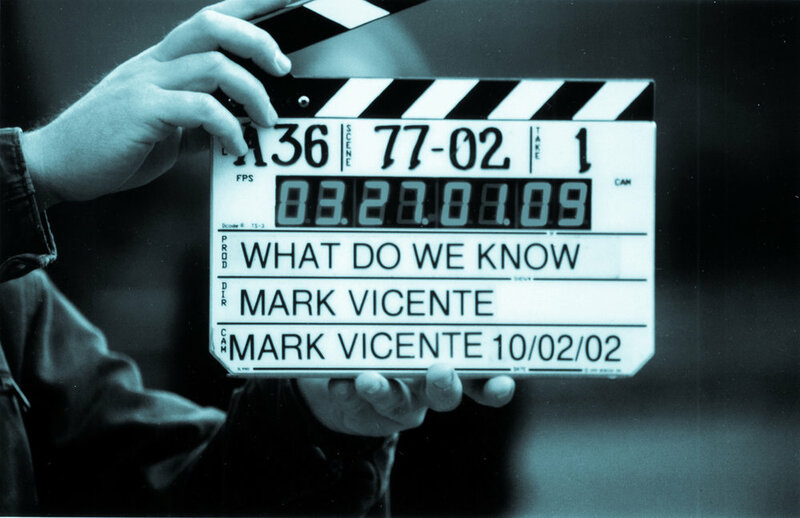 Author, speaker, and award-winning Writer/Director/Cinematographer Mark Vicente was part of the creative team behind the sleeper hit “What The Bleep Do We Know? !” Several books have been written about the film’s remarkable grassroots marketing campaign, which led to its unprecedented success. Mark was born in Johannesburg, South Africa in 1965. Taking his first photograph at age four, he quickly discovered his passion for being behind the camera. After sneaking into TV studios at age 16 and jumping behind cameras, pretending to be a seasoned Camera Operator, he eventually enrolled in film school where he specialized in Directing, Cinematography and Theater Lighting Design. After Film School he began working his way up the ranks of the camera department, starting as a Camera Assistant, then an Operator and Steadicam© Operator. From Operating, he segued into shooting Music Videos and Commercials as he developed his skills as a Cinematographer. His first big break came as Director of Photography on the musical “SARAFINA,” starring Whoopi Goldberg. In 1992, he set his sights on Hollywood and relocated to Los Angeles to shoot his first studio picture for Disney entitled “FATHERHOOD,” starring Patrick Swayze and Halle Berry. At the age of 26, he became one of the youngest cinematographers to shoot a big budget studio picture. Over the next 12 years, he went on to shoot an additional 14 feature films and numerous Documentaries and Commercials. Mark soon found there were in him, untold stories he desperately wanted to express. He was driven by the conviction that tales of greatness, nobility and introspection could be exciting and financially successful. Deeply moved by the unprecedented violence, taking place in Mexico, Mark completed ‘Encender el Corazon’, a film about non-violent protest movements. The film follows a group of concerned Mexicans using community building, and non-violent protest to recover the hearts, minds and homes of those who have been deeply affected by the fear of kidnapping, robbery and gang violence. Mark is always on a search to find new and revolutionary ways to raise awareness through film. Under the banner of Luminosity Films, he is currently developing “Bending Time”, a Sci-Fi Series packaged with a VR and biofeedback video game. The sci-fi drama; "Terra Antiquis” and the period ghost story; ‘The Settlers’. Mark is always on the lookout to collaborate with others who share his love of story-telling and the examination of what it means to be human.